Ezt a terméket eddig 824 alkalommal vásárolták meg! Jiffy pots are rapidly becoming the #1 choice of gardeners everywhere. We offer you a full line of sizes and styles of pots for all your seed starting needs. Using pots that are environmentally friendly and biodegradable is the all natural approach to plant propagation. 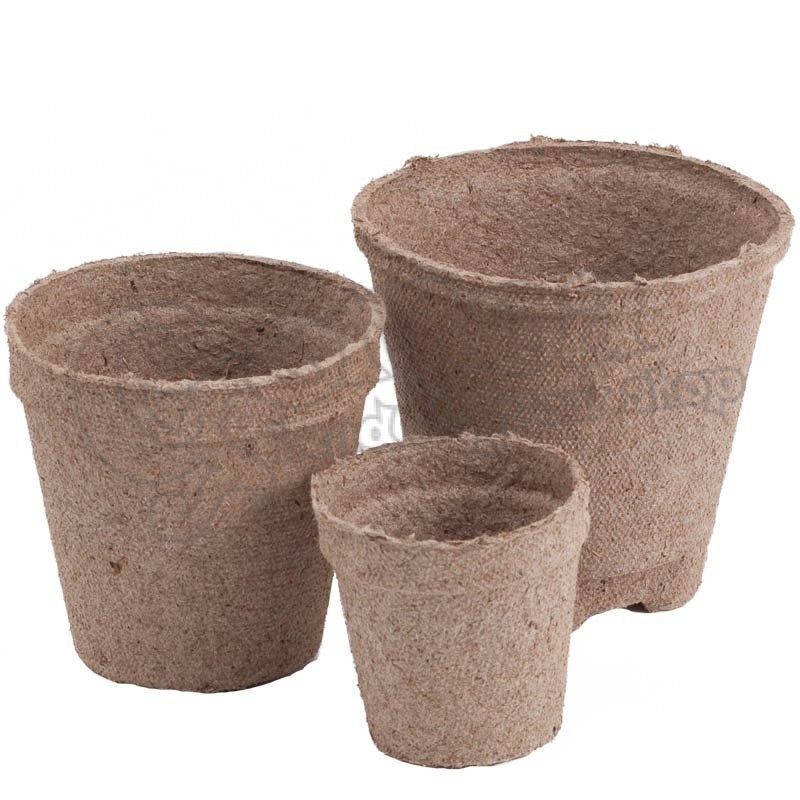 Made from Canadian sphagnum peat moss and wood pulp, these pots come pre-formed and ready for planting. These all natural pots are the ideal choice for indoors seed starting as well! The soft walled peat allows plant roots to naturally air prune as they emerge through the pot. Jiffy makes great seed starting pots which are a consistent medium that is optimized for propagation and root development. Fill the pots/strips with potting soil. Water thoroughly – making sure sides of the pots are saturated. Sow seed or stick cutting and position in a bright place. When the seeds are sprouting, turn the cover slightly for air circulation. When the seeds have sprouted, take the cover off. Gradually expose to the sun. Never overwater or let them dry out. Put the pots/strips in a tray. The whole pot into the flower bed or flower pot to protect the sensitive root system.